The Apple Watch 4 includes new mHealth capabilities, such as an ECG sensor and fall detection, but will healthcare providers see enough in the connected care technology to embrace the consumer-facing wearable? September 13, 2018 – mHealth enhancements to the new Apple Watch are designed to make digital health more consumer-friendly, but will healthcare providers embrace the wearable? The Apple Watch Series 4, unveiled this week during the company’s typically splashy annual new product roll-out, includes an electrocardiogram sensor and app (granted De Novo classification by the US Food and Drug Administration), enabling users to track their heart rate and, if they want, send a snapshot to their care provider. The new sensor will also reportedly be able to detect atrial fibrillation (AFib) and a low heart rate. With this new release, the company is doubling down on the smartwatch as a mobile health device, and moving away from the idea that it’s a wearable companion to the smartphone. The long-anticipated news drew mixed reactions from the healthcare community. Some praised Apple’s efforts to boost patient engagement in cardiac care, while others questioned whether the ECG sensor would cause more stress and unnecessary healthcare visits than identify actual health concerns. “I bet there is going to be a massive increase in inbound flow from my patients as well as probably trips to the office and ER visits, but it will be interesting,” Ethan Weiss, an associate professor at the University of California-San Francisco’s Cardiovascular Research Institute, said on Twitter. Conversely, some healthcare experts also worry that consumers will place too much faith in the Apple Watch – or similar devices – to monitor their health, simply because it’s so easy to use. They might start neglecting other health measures, or rely on devices that aren’t accurate all the time. Still, many feel the new watch – which will cost upwards of $399 – represents an important step in patient engagement, and one more piece of the connected health puzzle. Apple’s move continues efforts to bridge the gap between consumer devices like fitness band and smartwatches and medical-grade mHealth wearables favored by clinicians. The company says the Apple Watch 4 is the first consumer-facing device capable of measuring ECG. That’s partly true. AliveCor has received FDA approval for its KardiaBand, a sensor-embedded wristband that, ironically, attaches to earlier versions of the Apple Watch and tracks ECG through the company’s SmartRhythm app. The KardiaBand is designated a medical device accessory, and is typically purchased by a consumer on the advice of a physician. mHealth advocates have long been focusing on the capabilities of wearables in detecting AFIb early enough to treat it before it causes a stroke or heart attack. One study, launched in 2016 by the Scripps Research Translational Institute (formerly known as the Scripps Translational Science Institute), found that an mHealth wearable designed to monitor heart health is three times better at detecting AFib than the traditional method of being tested in the doctor’s office. Another enhancement addresses the Personal Emergency Response Service (PERS) market: Improvements to the device’s accelerometer and gyroscope so that the smartwatch can detect when the user has fallen and automatically alert care providers if the user has been immobile for at least one minute. “Fall detection is a feature that we hope you never need but it’s really nice to know it’s there,” Jeff Williams, Apple’s chief operating officer said during the event. The new watch also boasts new speakers (reportedly enabling 50 percent more volume) and a new S4 processing chip that enables faster functions. Battery life is expanded to 18 hours, officials said, and workout time has been increased to six hours. One so-far unexpected benefit: the larger watch face on the Apple 4 – and, by extension, Apple’s new 6.5-inch iPhone XS Max – gives healthcare providers more space to connect with users. The watch will now allow up to eight on-screen shortcuts for apps. As for future enhancements in the smartwatch space, Kivatinos would like to see instant communications capabilities. EXTRA HELP FROM THE FDA? Some critics questioned the cozy relationship between the FDA and Apple, which was a participant in the agency’s pilot precertification program. 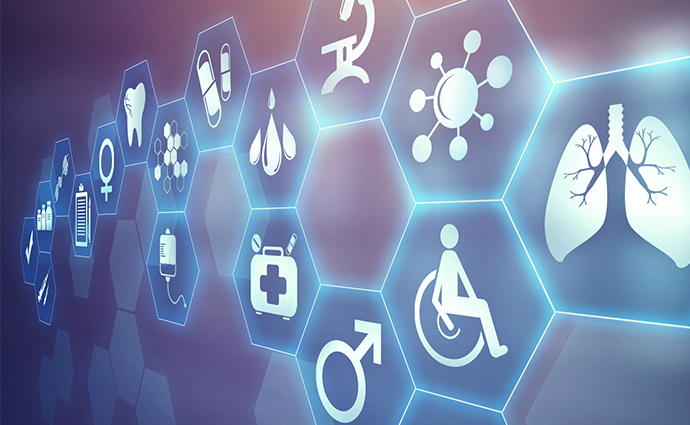 In response, FDA Commissioner Scott Gottlieb, MD, and Jeff Shuren, MD, JD, Radiological Health Director at the FDA’s Center for Devices, issued a joint press release buttressing the agency’s efforts to validate consumer-facing digital health technology. “Due to the great promise of these technologies and the rapid pace of change, the FDA is working to modernize our regulatory approach to better enable and more efficiently spur innovation in this novel area to improve the health and quality of life of consumers and patients,” they wrote. Bradley Merrill Thompson, a digital health expert and attorney with Epstein Becker Green, noted the FDA’s de novo decisions regarding the Apple Watch 4 were issued on September 11, just one day prior to the Apple Watch 4’s coming-out party. The move comes as Apple finds itself struggling for momentum in the smartwatch market. The Apple Watch 4 is the fifth iteration of the company’s smartwatch since its debut in 2015. A new report from London’s ABI Research finds that Apple is losing market share to competitors – including Samsung, LG, Motorola and, most notably, Fitbit – even as the smartwatch market shows growth. According to ABI research, smartwatches will overtake activity trackers in popularity by 2020 – Smartwatch shipments will increase from 40 million in 2018 to more than 108 million in 2023, while activity trackers will rise from over 52 million to over 67 million. Meanwhile, Apple’s share of the smartwatch market has dropped 14 percent between 4Q 2017 and 1Q 2018, while newcomer Fitbit is already snagging 10 percent of the market.